Today our third paper about learning in the Rhizomatic Learning: The Community is the Curriculum MOOC (commonly known as Rhizo14) has been published. Here are links to the three papers. Third paper: Bell, F., Mackness, J. & Funes, M. (2016). Participant association and emergent curriculum in a MOOC: Can the community be the curriculum? Research in Learning Technology. Second paper: Mackness, J., Bell, F. & Funes, M. (2016). 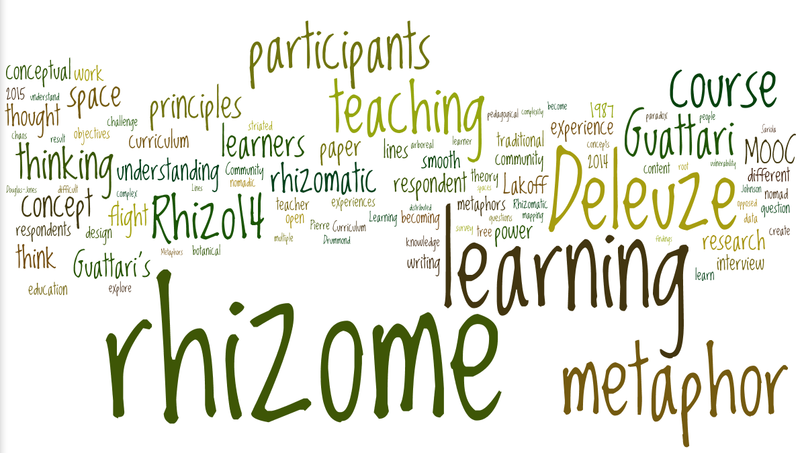 The Rhizome: a problematic metaphor for teaching and learning in a MOOC. 32(1), p.78-91 Australasian Journal of Educational Technology. I think we have written about all these points, although not as separate points and some have been covered more implicitly than explicitly. All these papers have been published in open journals and have been openly discussed by a group of Rhizo14 participants. I think most researchers would be gratified that their papers are noticed and discussed. At the beginning of the year Veletsianos and Shepherdson (2016) published a systematic analysis and synthesis of the empirical MOOC literature published in 2013-2015 in which they commented ‘that a select few papers are widely cited while nearly half of the papers are cited zero times’. In other words a lot of research goes unnoticed. It is too early for this research on Rhizomatic Learning to have received a lot of citations. I know from an early paper that colleagues and I wrote about CCK08 (the first MOOC) that it took two years for the paper to be noticed, but since then it has been cited a number of times. I have learned a lot, on so many levels, from these two years of research, which has all been voluntary, unfunded and collaborative and which will inform my future work. Our second paper which explores how the rhizome metaphor was understood in the Rhizo14 MOOC (Rhizomatic Learning. The Community is the Curriculum) has finally been published by The Australasian Journal of Educational Technology. Mackness, J., Bell, F. & Funes, M. (2016). 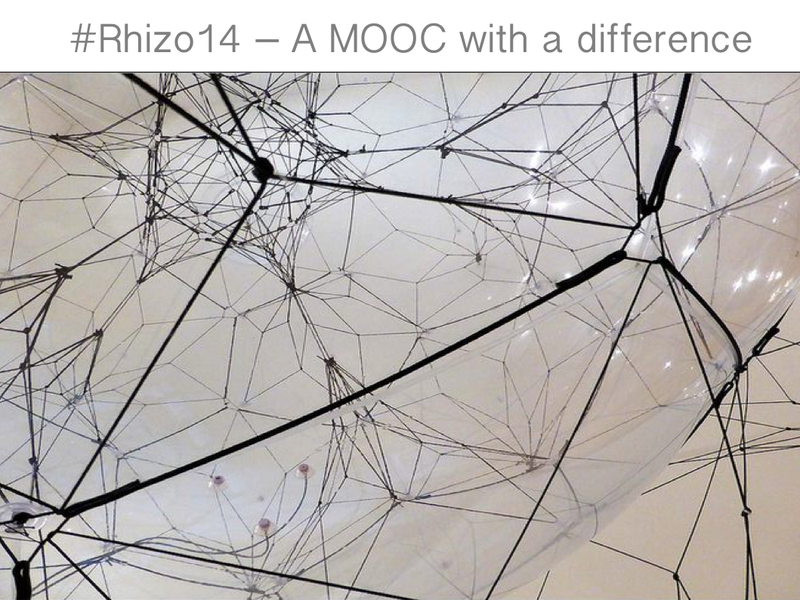 The Rhizome: a problematic metaphor for teaching and learning in a MOOC. 32(1), p.78-91 Australasian Journal of Educational Technology. 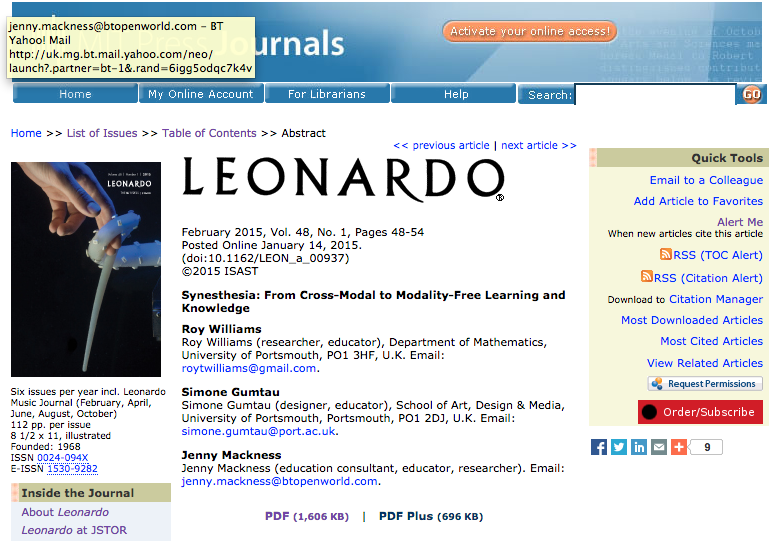 The body of work we have developed in relation to the Rhizo 14 MOOC is now growing. The first paper was published by Open Praxis. 27-6-2014 Mackness, J. & Bell, F. ALTMOOCSIG Conference The Rhizome as a Metaphor for Learning in a MOOC. See also Emerging ambiguities and concerns for blog posts about this presentation and the related Prezi. A third paper has just today been returned by the reviewers and will hopefully be published within the next three months. The second paper about the rhizome metaphor was really enjoyable to work on as it introduced us to new authors and presented us with many challenges. As always we worked on a private wiki to collect, share and discuss resources and our thoughts, as well as paper drafts. For now, I’m OK with that, but it would be good to see the development of more creative, multi-media and interactive ways of presenting research and discussion papers. If nothing else, it could make the papers more fun to work on and multi-media might help to explain the work more effectively. We immediately recognized that our research into rhizomatic learning would fit this theme. The rhizome has been used as a metaphor for teaching and learning by many educators who are interested in encouraging learners to explore new spaces for learning. This is the Abstract we submitted. We can no longer preserve the illusion that learning is bounded by the classroom or other formal educational structures. Learners routinely navigate complex uncertain environments offered by social media and the web. Beyond the boundaries of the classroom, on the social web, learners enter the rhizome. Our research in a massive open online course, Rhizomatic Learning: The community is the curriculum (now known as Rhizo14) revealed mixed learner experiences. Rhizo14 was modelled on Deleuze and Guattari’s principles of the rhizome, outlined in their book ‘A Thousand Plateaus’, although ultimately it was an experiment about learning in an age of uncertainty and abundance, rather than a course about the rhizome. The experiment sought to learn about what happens when learners take control of their learning and through connection and interaction determine the curriculum. As a location for learning, the rhizome challenges traditional views of education, allowing entry anywhere and knowing no boundaries. Within a rhizome, learners select and follow their own learning paths, taking many ‘lines of flight’ and travelling as nomads. Learning takes place through a multiplicity of connections, continually being formed, broken and reformed. Learners learn from each other and together create their own curricula; hierarchies and authority are eschewed. Learning in the Rhizo14 rhizome had both light and dark sides. It was motivating and stimulating, leading to intense creativity, engagement and transformational learning, but the freedom to roam increased learner vulnerability. In the absence of an ethical framework, the burden of ‘teaching’ fell on to the most active with some unintended and invisible consequences. We will discuss with the audience how learning ethically in the rhizome might take place and how freedom and responsibility might be balanced. Over 400 delegates, mostly from the University but also including a few external presenters like ourselves, signed up for the conference and more than 80 sessions were presented over the two days. It was a lively conference and an enjoyable experience. For our session we had 25 minutes in which we wanted to leave as much time for discussion as possible. As such we spoke for about 10 minutes, and then spent the remaining time discussing the challenges and possibilities of rhizomatic learning with our audience. Ultimately only the first three statements were discussed but the feedback culminated in a response to the fourth statement. Learning requires boundaries. The group discussing this statement felt that boundaries are helpful and that learners benefit from different types of boundaries at different times. 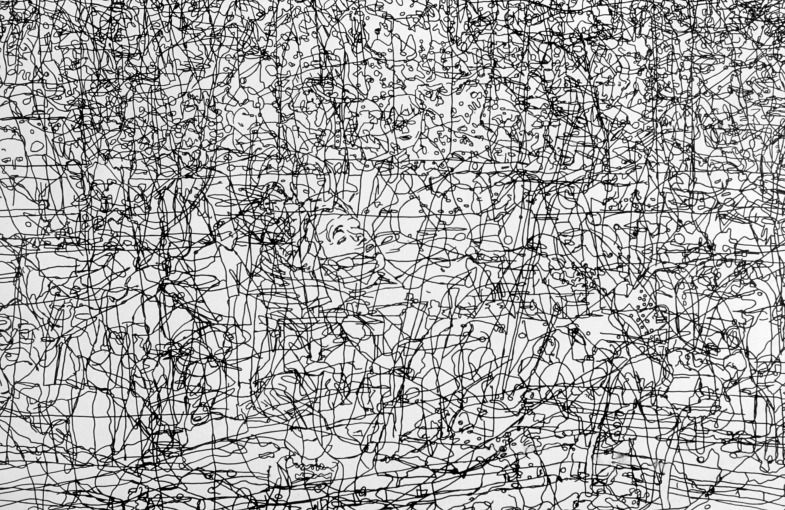 Sometimes boundaries need to be rigid, which they represented by drawing a solid line, sometimes more flexible, which they represented with a dotted line. They acknowledged that looser institutional boundaries allow for more personal learning and that boundaries are always moving. Learners cannot be trusted to select and follow their own learning paths. This group thought that selection is part and parcel of the learning process because learning goals change as the learning progresses. They made the interesting comment that the learning path is determined by a process of elimination. Learners can create their own curriculum through peer interaction. This group wanted to change the word ‘create’ to ‘shape’. They thought that it is possible for learners to shape their own curriculum through peer interaction with facilitation and guidance, but they recognized that ultimately the curriculum would be determined by the majority and that there would be institutional constraints. In listening to these responses we felt that all three statements had been discussed in the context of balancing structure and freedom, which relates to the fourth statement, and to ideas that we continue to explore in our ongoing research into rhizomatic learning. We were very pleased with how this session went. Participants only had 15 minutes for discussion and feedback, but all engaged with the prompts and each group responded with thoughtful and insightful comments. Many thanks to all those who attended our session and engaged so actively, and also to Elena Zaitseva, who chaired the session, fully engaged herself and kept us all to time so well. I have committed to writing a monthly blog post this year, rather like those who commit to posting a photo a day. I have resisted the photo a day – I hate routine. Even making a monthly blog post feels too prescriptive, but given that I seem to be lacking any motivation to blog recently, this commitment to a monthly post will hopefully keep me going until my motivation comes back. But that doesn’t mean that I haven’t been writing. I have been writing a lot – just not in public! The end of this month has seen a focus for me on the meaning of ‘metaphor’, in particular in relation to the rhizome metaphor. Frances Bell, Mariana Funes and I have been finalizing a paper about the rhizome, how it is understood and how it applies to teaching and learning. This is a Wordle composed from the content of our submitted paper. We have been working on this paper for more than a year. There was a lot to learn. What has been extremely enjoyable about this has been the number of authors I have become familiar with who write about the rhizome. I have so enjoyed the poetic imagery that some of their writing conjures up. For those completely unfamiliar with the concept of the rhizome, then a good start is Chapter 1 of Deleuze and Guattari’s book. A Thousand Plateaus (1987, Bloombury) – and we have already published one paper about this. Our research is ongoing, but for our initial thoughts and findings see our paper in Open Praxis – Rhizo14 – A Rhizomatic Learning cMOOC in Sunlight and in Shade. Finally, motion – what is that about? Well it’s about the motion of the wheels of my bike. 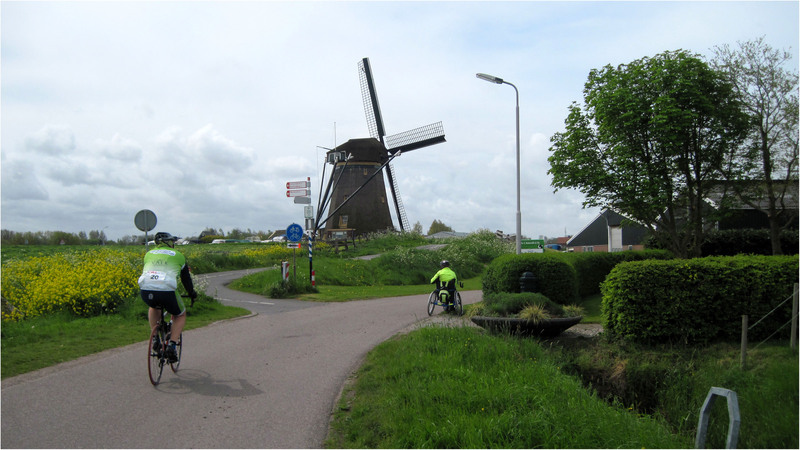 At the start of the month we were cycling in Holland, through the tulip fields. This far exceeded my expectations of an enjoyable holiday. Of course I know we were so lucky – no rain, only one day of high winds, a fantastic hotel, amazingly safe cycle routes and lanes with good surfaces, and the stunning tulip fields. Needless to say I took far too many photos of tulips which I have posted on my Flickr site. February 2015. Light and Shade. February arrived in light and went out in shade. We had gloriously crisp cold sunny days for the first half of February in North West England and wet, windy, stormy weather for the second half. It’s ironic that this should also reflect the light and shade around my working life and research practice. At the beginning of February our first research paper about learner experiences in the Rhizomatic Learning: The Community is the Curriculum MOOC (Rhizo14) which took place at this time last year, was published. In the spirit of openness, and because we were grateful to all those who participated in the research, we published this in an open journal, Open Praxis, and then on publication sought feedback in various locations, such as Facebook, Twitter, on our blogs and Google+. This has been both a light and shade experience, reflecting the light and shade experiences that we reported on in our research. I’m not sure why light and shade have been perceived by some to be oppositional to each other. My perspective is that they need each other to be able to see each other more clearly. We learn from both. But the paper seems, for some readers, to have further polarized discussion about the learning experience in Rhizo14, making the light and shade even more obvious and oppositional than it was before. An emerging light for me is that some of the issues that were raised by the paper are being discussed, which is surely a better outcome than the paper being ignored. Other aspects of shade dotted through the month have been continuing concerns about the effects of ageing, not on me personally, but on those around me. I now find myself sending 80th birthday cards more than I have ever done in the past. With respect to dementia, I have learned this month that many people with dementia become grazers in their eating habits and that the best way to deal with this is to leave small bowls of chopped fruit, vegetables, nuts, chocolate and so on around the house. This piece of information has been comforting. Two highlights this month have again been around art exhibitions. The first was seeing a film about David Hockney, his life and work which prompted me to think about his recommendation that we try and see the wider picture. February has been all about trying to see the wider picture and reading Iain McGilchrist who writes that there are two ways of being in the world: in one (the way of the right hemisphere) we ‘experience’ the world, in the other (the way of the left hemisphere) we experience our experience, that is a re-presented version. The right hemisphere sees the whole. The left hemisphere sees the detail. What is new must first be present in the right hemisphere before it can come into focus in the left hemisphere (the new versus the known). The left hemisphere then returns the known to the right hemisphere for further experience. These are not McGilchrist’s words, but my understanding of his words. It seems to me that they might have something to say about experience, interpretation and practice in research. I am still thinking about this. 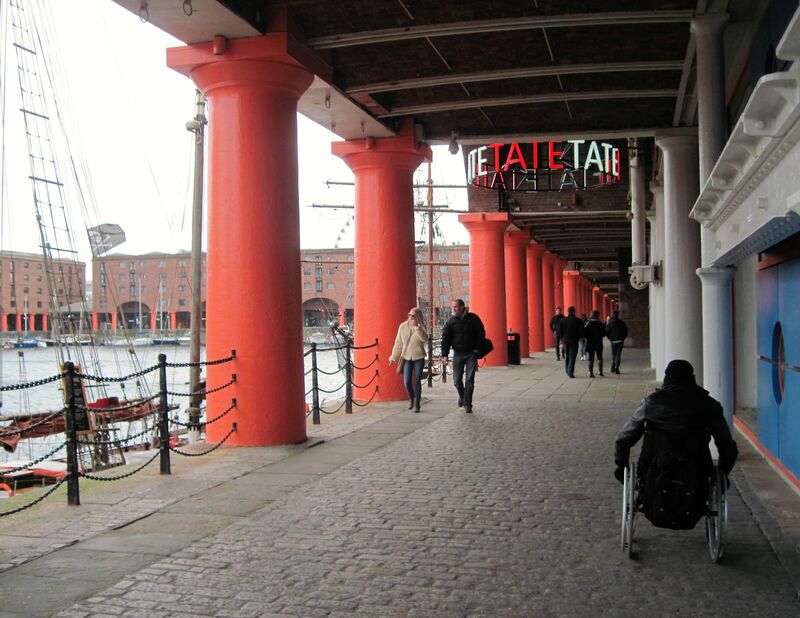 And this was followed by a visit to Liverpool’s Tate Gallery and the free Constellations Exhibition on the first floor, which explored connections between major contemporary works of art. There was a lot here that resonated with my learning this month, so I’ll finish off this post with a few images and observations, thoughts that struck me as I walked round, whilst still thinking about the meaning of education and the light and shade of the learning experience. My attention was drawn to this sculpture and the role of space in its construction because of the discussion about our research paper (mentioned above), where the question was raised as to whether a participant who was not active and did not contribute openly in the course had the right to fill in the survey and feedback on the course. This sculpture reminds me of the value of not ignoring the invisible and not assuming that it does not have a role to play. 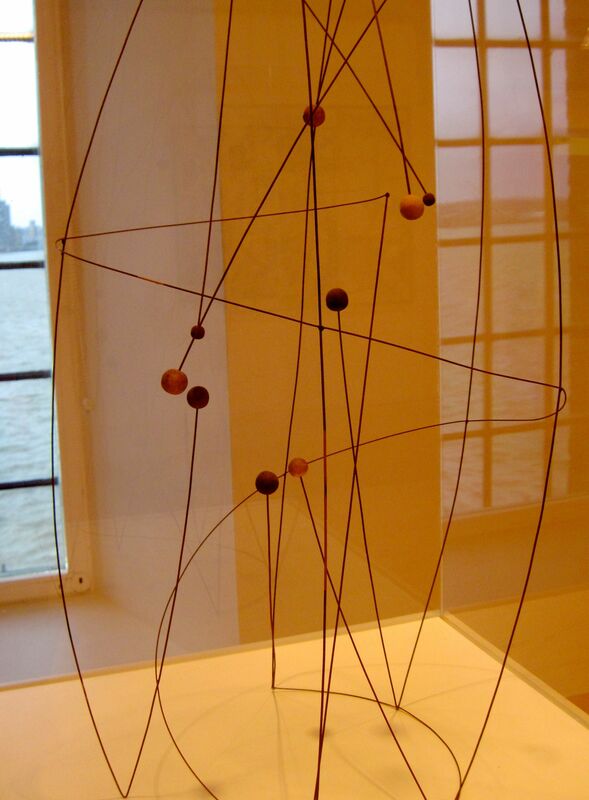 In this sculpture the nodes and connecting wires are as much dependent on the space for their definition as the space is on them. I have sometimes wondered in the past month and in reading the comments that have been made about our published paper (mentioned above), at some of the interpretations. Alternative perspectives are welcome and differences of interpretation are inevitable. As with any published writing, benefit from these alternative perspectives and interpretations can only come from close attention to the ideas presented in the text and a dispassionate attempt to discuss and understand them. What exactly did the authors say? 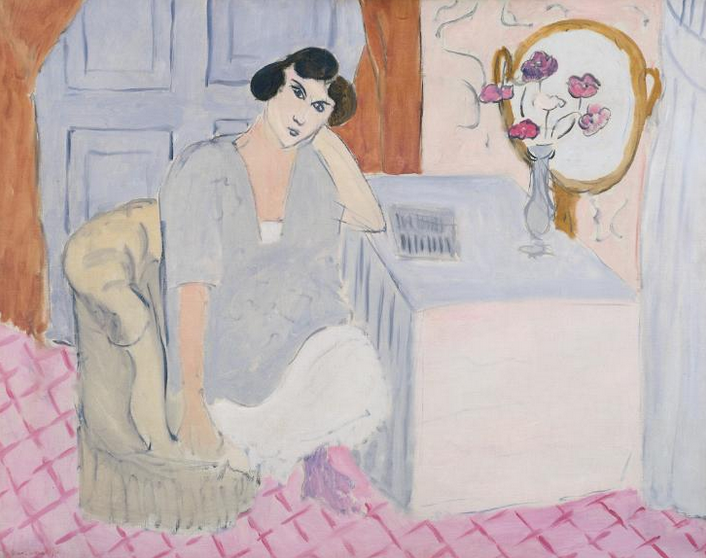 Emotional responses might be inevitable, but might also be a distraction from focused attention, as for Matisse’s ‘Inattentive Reader’. In her work she recognizes the tensions and conflict that can arise when trying to interpret and/or break away from norms. 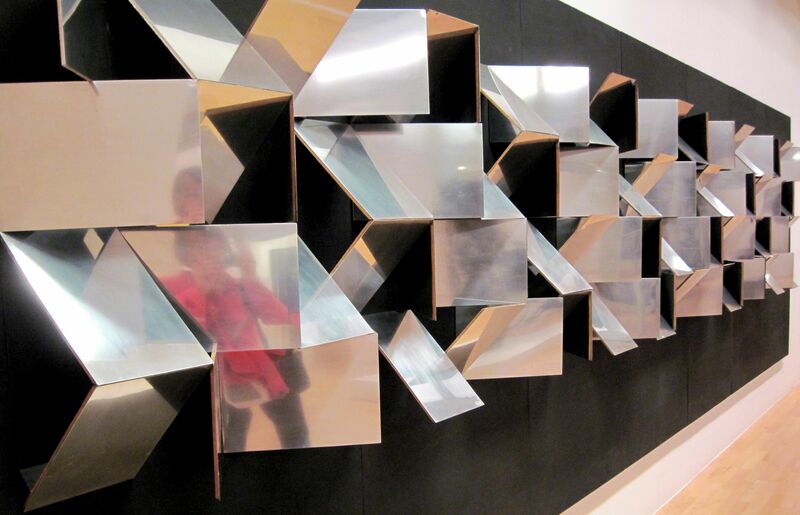 For me it is interesting how this work fragments the reflected images, emphasizing that everything can be seen from multiple perspectives and as multiples. Finally this photograph caught my attention. My reflections this month on light and shade have reinforced for me that our identities can be fragile and learners in ‘the open’ are vulnerable. 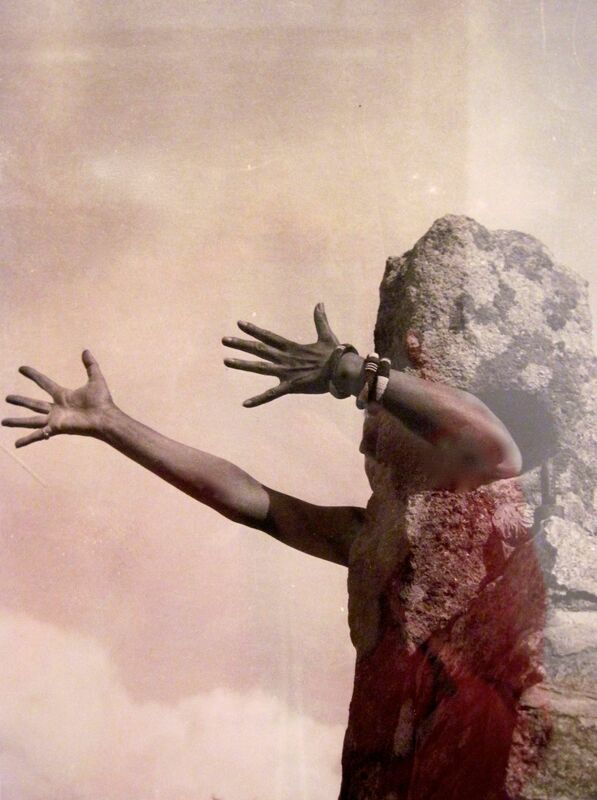 The extended arms in this photo show a willingness to reach out, but the stone shield also suggests to me that we might need to protect our identities from open space. Open environments are spaces of both light and shade. In a comment on this post Simon Ensor has posted a link to a post he has made on his blog to which he has given the title – In a tangle. This made me think of another sculpture that I saw and thought about on my visit to the Liverpool Tate. Here is a photo of the sculpture with the artist’s name and details of the work. Following acceptance it seemed to take for ever to get permission for the images we wanted to include and meet the image quality requirements of Leonardo Journal. Roy did a huge amount of work on this. Ultimately the paper was not published until Jan 2015. The quality of the publication in terms of the work of the publishers in preparing this paper is very high. It looks great Leonardo is a closed journal with very strict copyright regulations. We cannot share the paper (for example on Research Gate) for another 6 months. Despite this we have had quite a few requests for this paper. The process was very smooth with great attention to detail by the Editor and a good looking publication as an outcome. All communication with the Editor was courteous and helpful. In addition Open Praxis is an open journal and there were no issues with our coloured Table. We have been able to blog and tweet about this publication and are already receiving positive feedback. 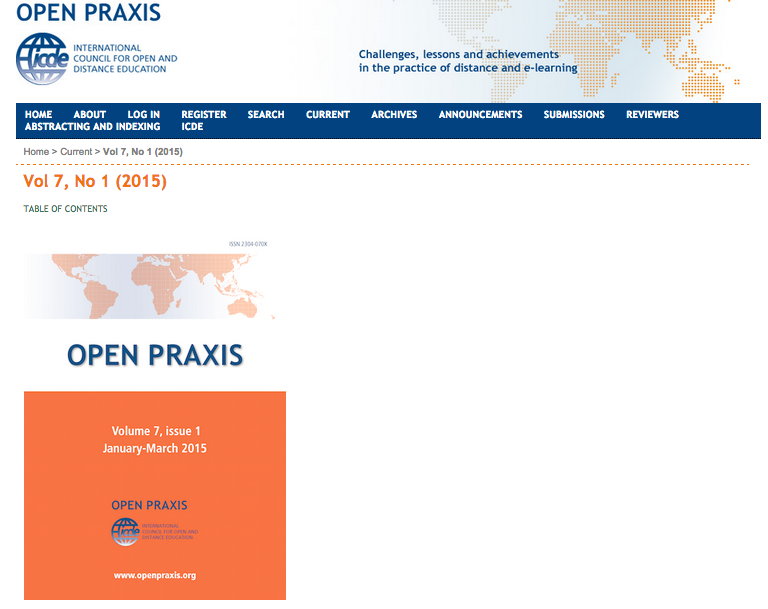 Update: Just as I finish writing this post, Open Praxis tweets a brief report on Open Praxis figures and data (2013-2014) which is very interesting and reports an increasing impact as a journal. I recently went to see the film Mr Turner. I came out rather wishing I hadn’t seen it. 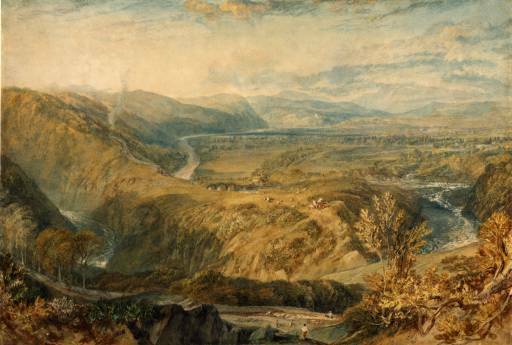 I have always loved Turner’s paintings and at one stage of my life lived within walking distance of the site of his painting of the Crook of Lune. Mike Leigh’s film intentionally sought to create a tension between the exquisite, ethereal, yet powerful, paintings and the man that Turner was. As Dave Calhoun says in this review, Turner “grunts and grimaces and gropes his way through life” – and through the film. But the film did make me want to find out more about Mike Leigh, which led me to the BBC Imagine programme in which Alan Yentob interviews Mike Leigh. I now realise that I have seen other Mike Leigh films. The one that immediately springs to mind is Vera Drake, but what I didn’t know was the process that Mike Leigh uses to create his films and this is not only fascinating, but also, I think, rhizomatic. On day one of a Mike Leigh film, there is no script, no story and the actors do not know if they will even be in the final film. I say, come and be in my film. Can’t tell you what it’s about. I can’t tell you what your character is. We’ll invent that as part of the process. And you will never know any more than your character knows. The whole process seems to be one of improvisation based on deep research of the subject and characters being filmed. For example, Timothy Spall learned how to paint like Turner for the part, but the script of the film was the result of many hours of rehearsals, which relied on the cast to ‘make it up as they went along’. The programme and the process described was fascinating and sparked off all sorts of thoughts and reflections – too many to write about here – but it did jog a memory of seeing another programme years ago where a group of hopeful applicants for art/sculpture school, turned up for interview and found themselves all locked in a large room with a huge polystyrene block each and no instructions on what to do or what was expected. If I remember correctly they were locked in this room for at least a couple of days or more and finally realised that they had to create something out of this polystyrene block – that was the interview! This also seems to me to be rhizomatic learning. There is no script for rhizomatic learning.